Today's Valentines printable is great for kids! 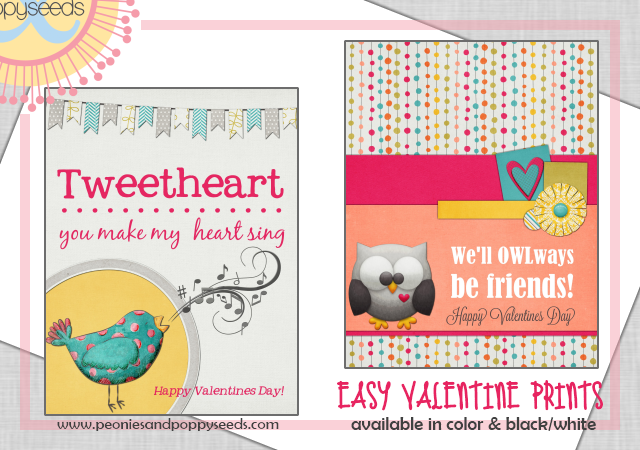 We have a sweet little birdie valentine, and a cute owl valentine. Each set comes in color AND black&white. 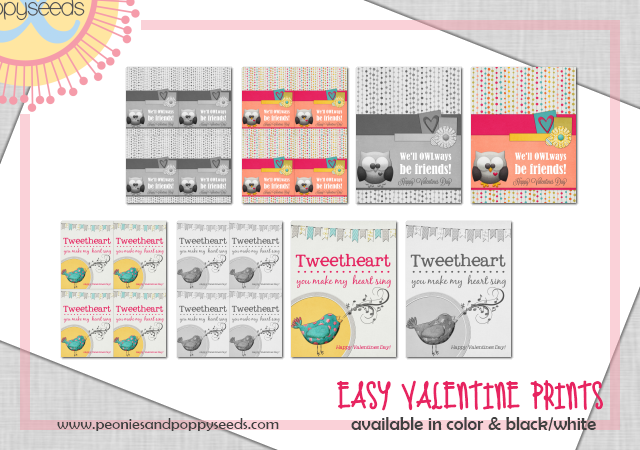 Valentines come in two sizes, full page, and quarter page.